The ‘Smile’ of Games Makers continues! To celebrate #VolunteersWeek2018 here’s a lovely smiley picture taken at our most recent choir rehearsal in South London. 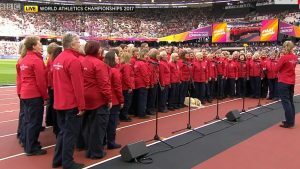 Volunteering at the London2012 Olympics and Paralympics brought most of us together, and volunteering in many guises continues to be a huge part of life for most, if not all the choir members. 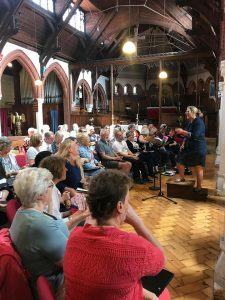 Our monthly rehearsals and the behind the scenes organising of everything from uniform, music and performances to cake baking for favourite nominated charities are all done with a smile and on a voluntary basis. 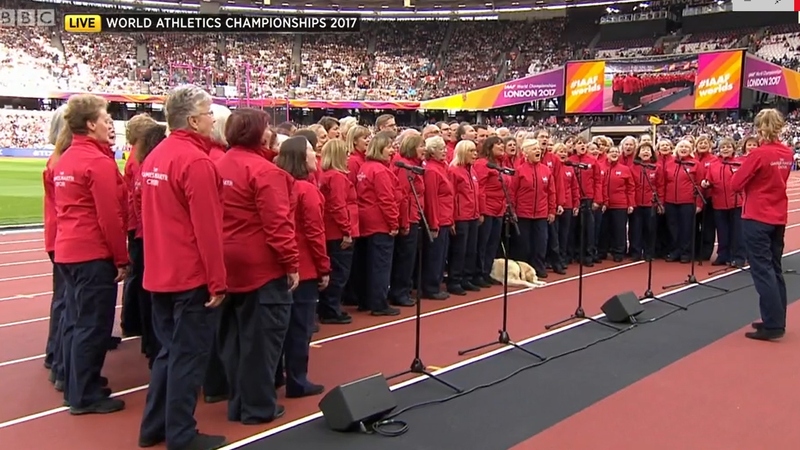 The choir is a huge part of the life of each choir member and we all recognise that our lives have been irrevocably changed by this and all the different volunteering roles we enjoy from international sports competitions to local, small scale events!